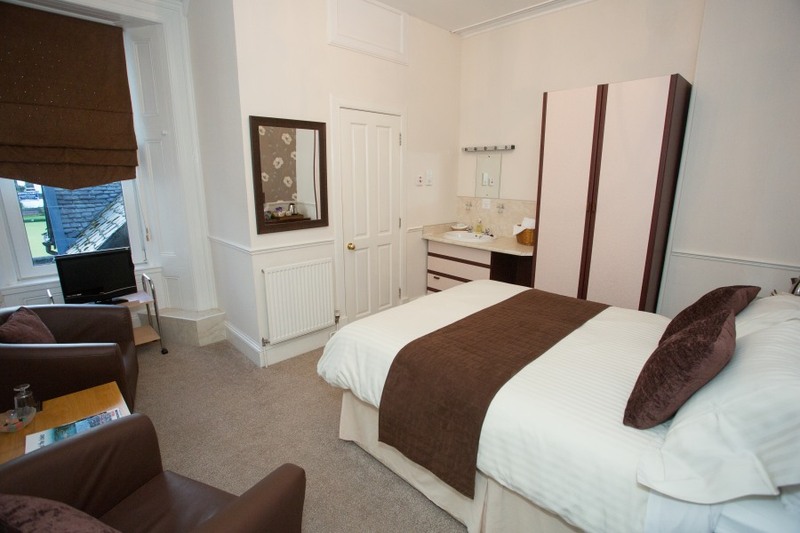 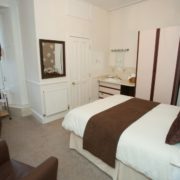 Every bedroom has an en suite shower room with complimentary toiletries and soft, pure cotton towels. 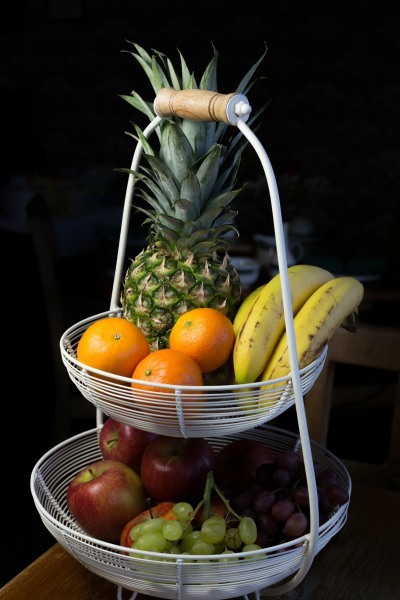 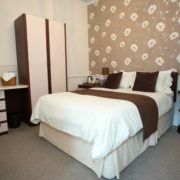 All the rooms are individually styled with plush fabrics, t asteful decoration and comfortable furnishings. 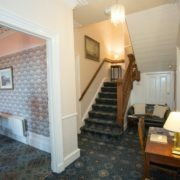 WiFi is available. 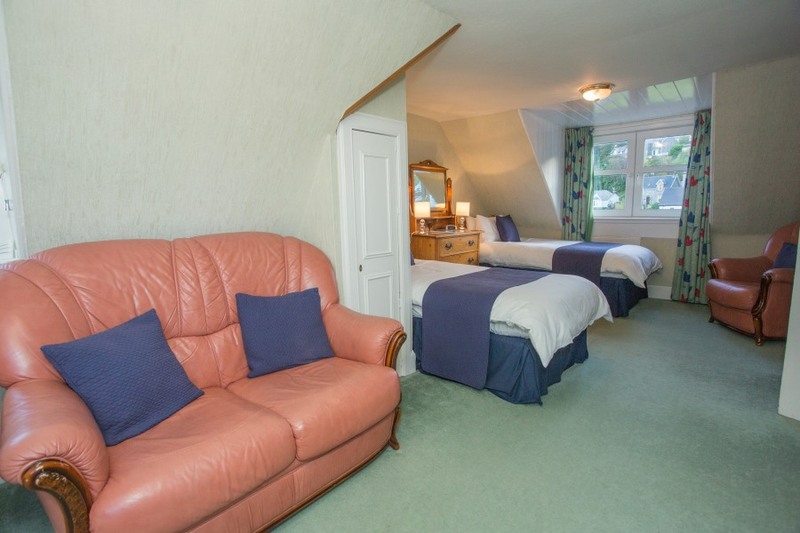 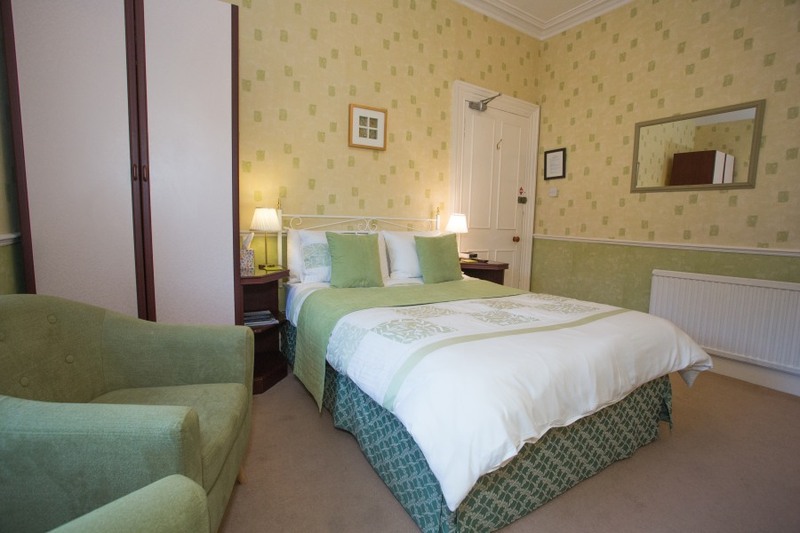 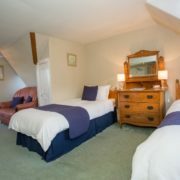 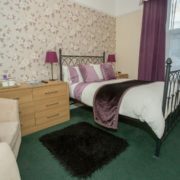 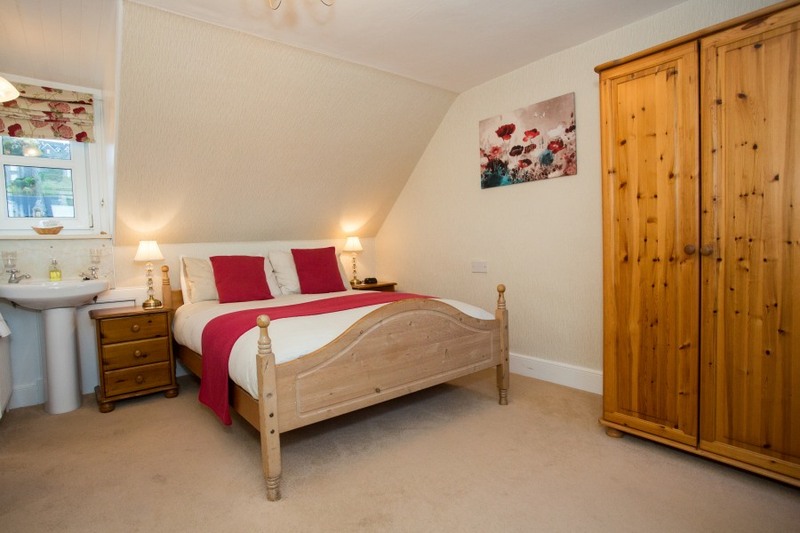 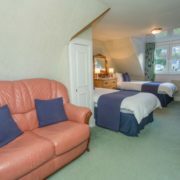 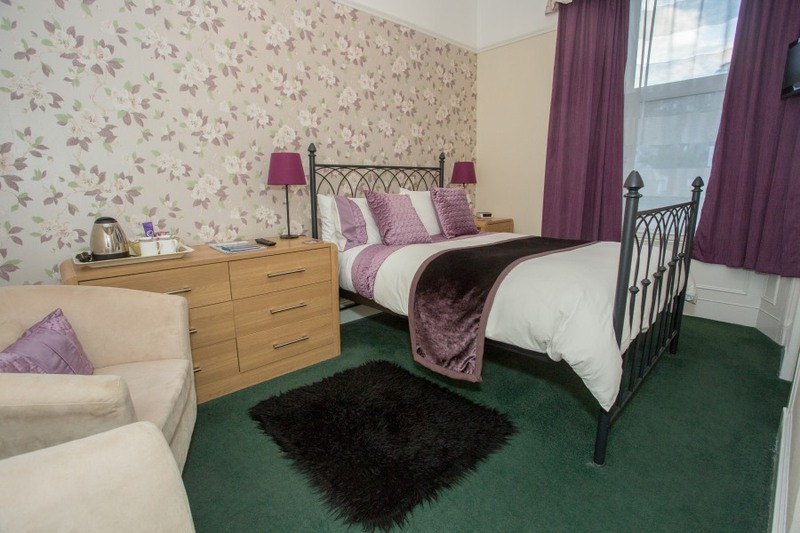 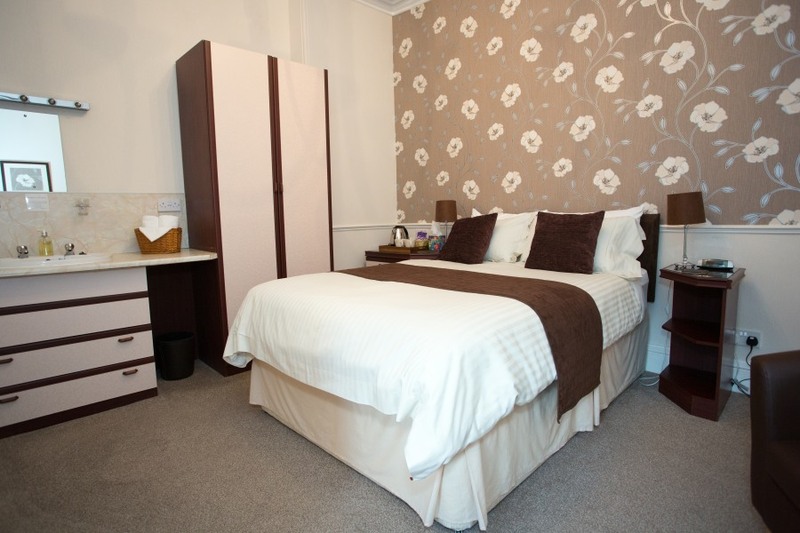 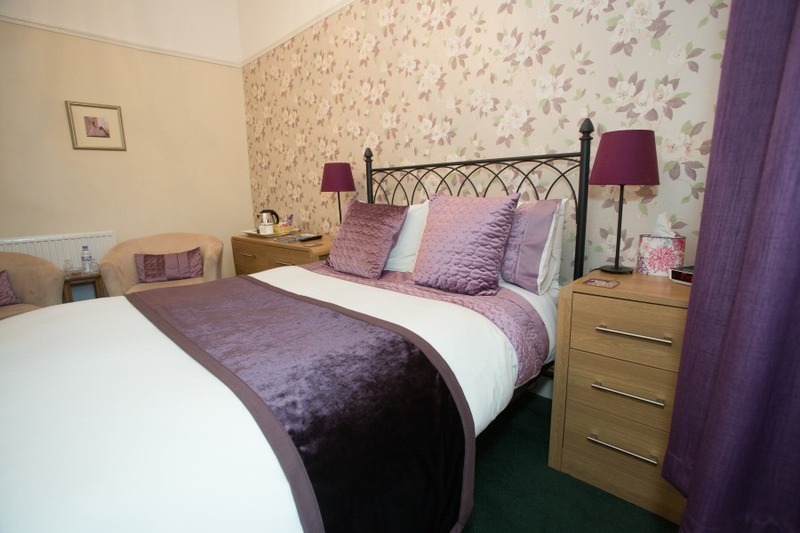 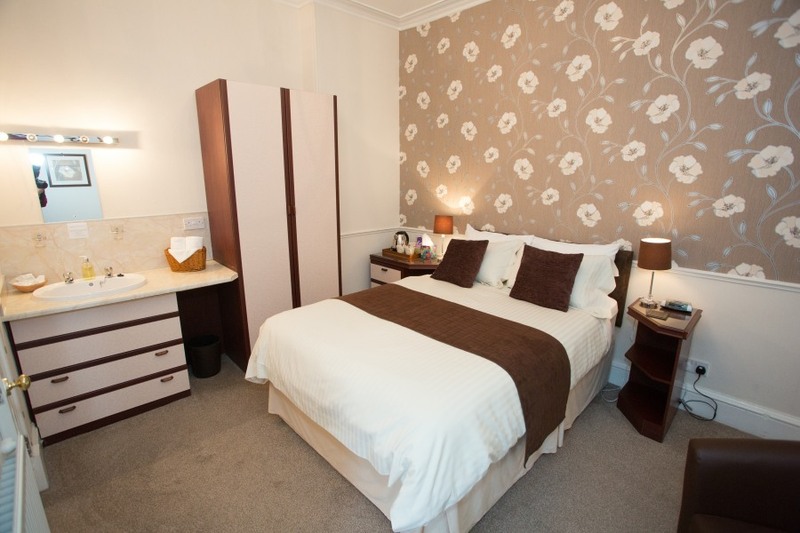 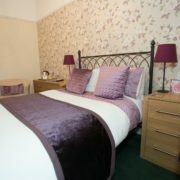 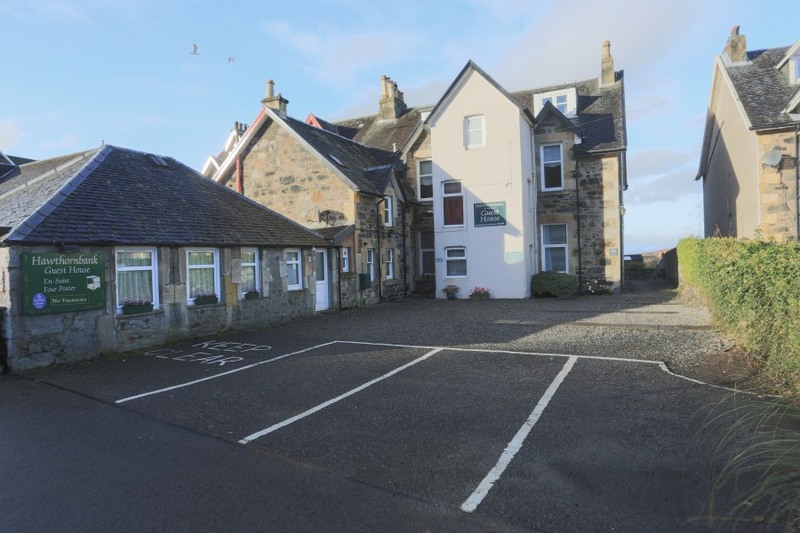 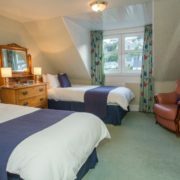 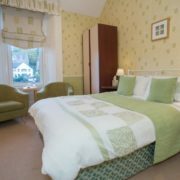 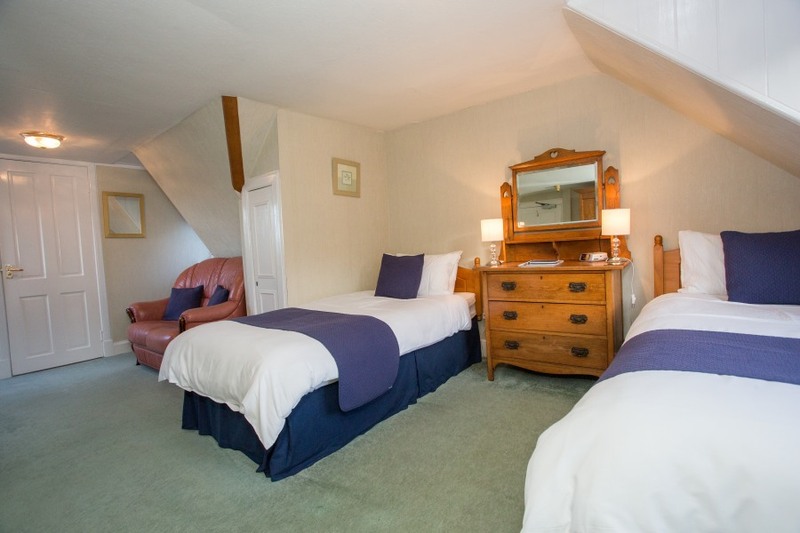 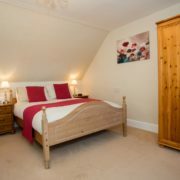 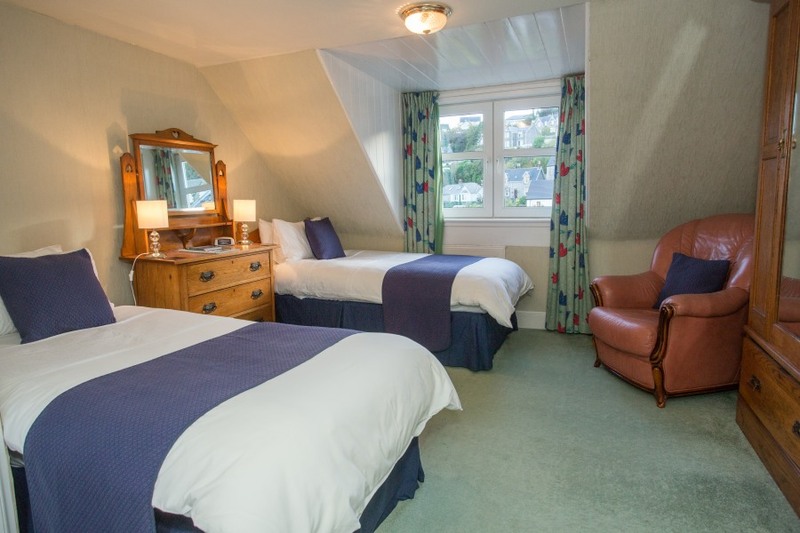 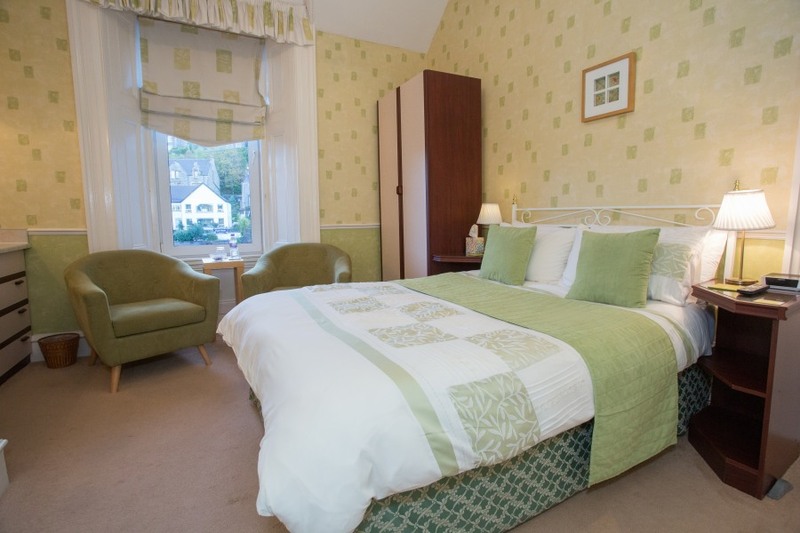 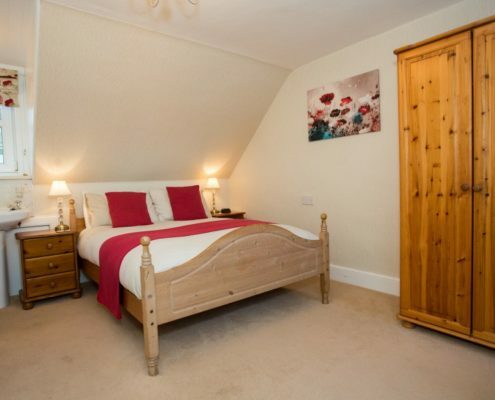 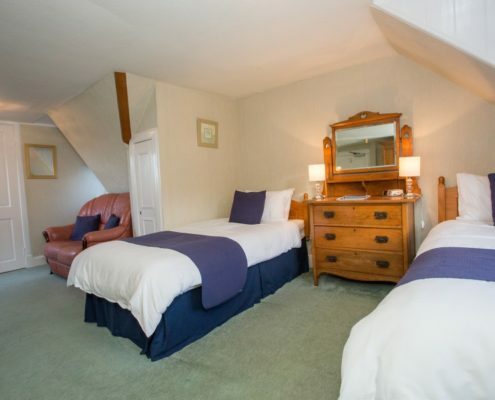 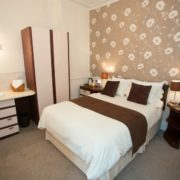 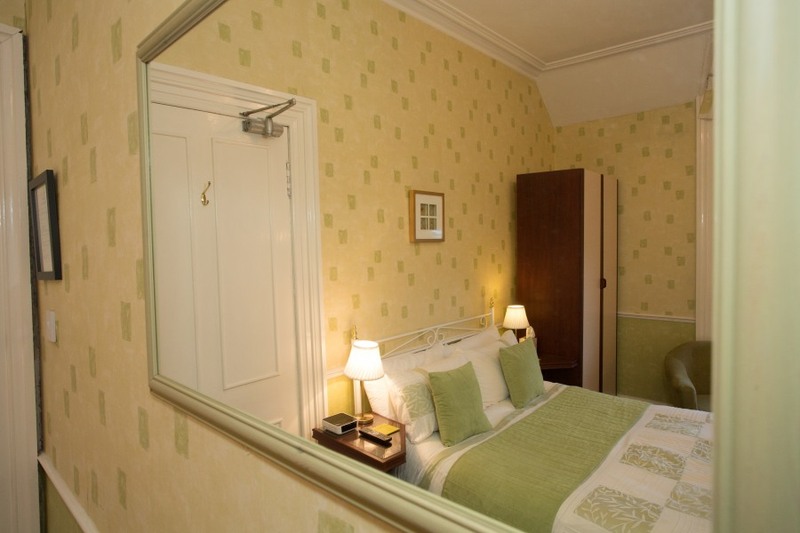 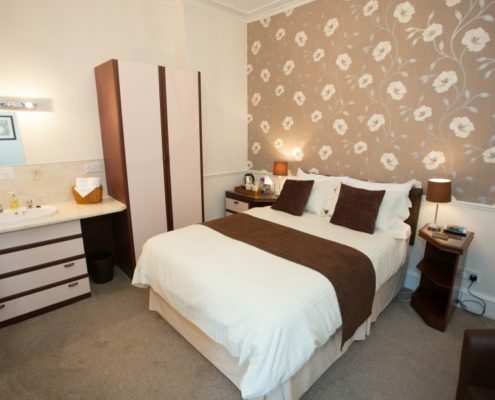 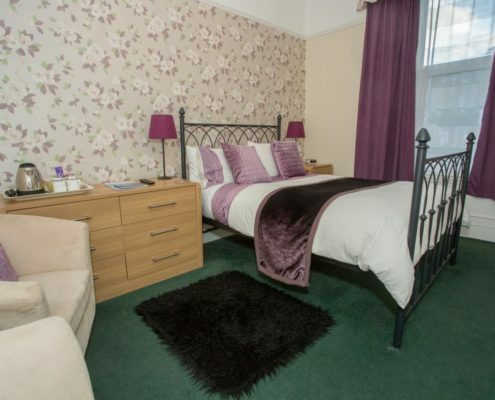 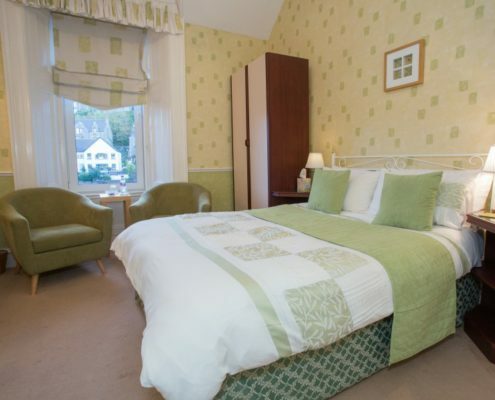 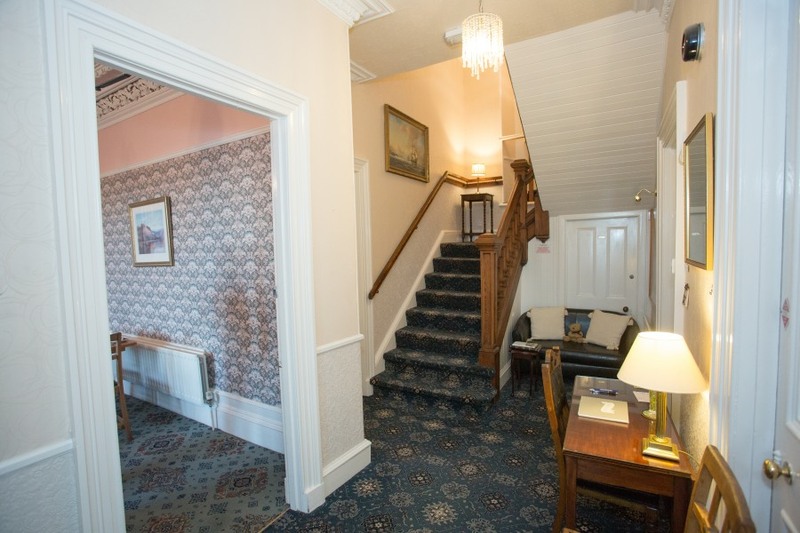 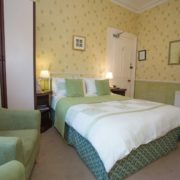 Sole occupancy rates available for standard double rooms starting at £55.00 per night. 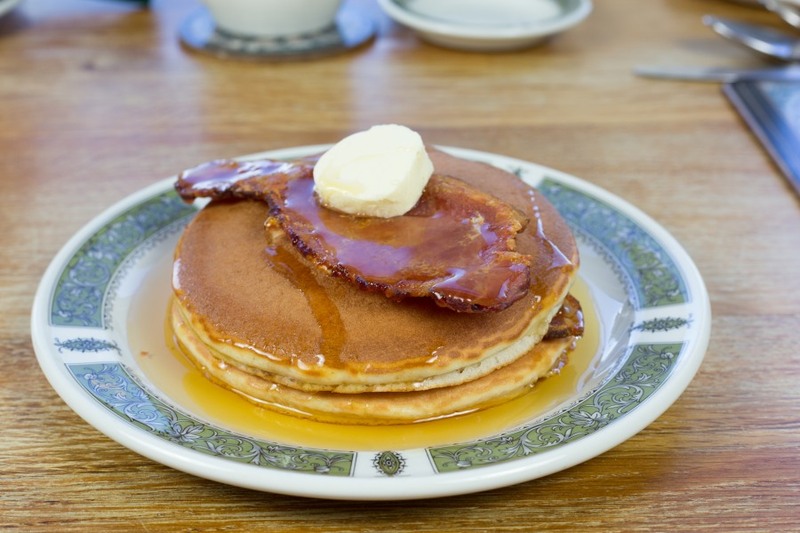 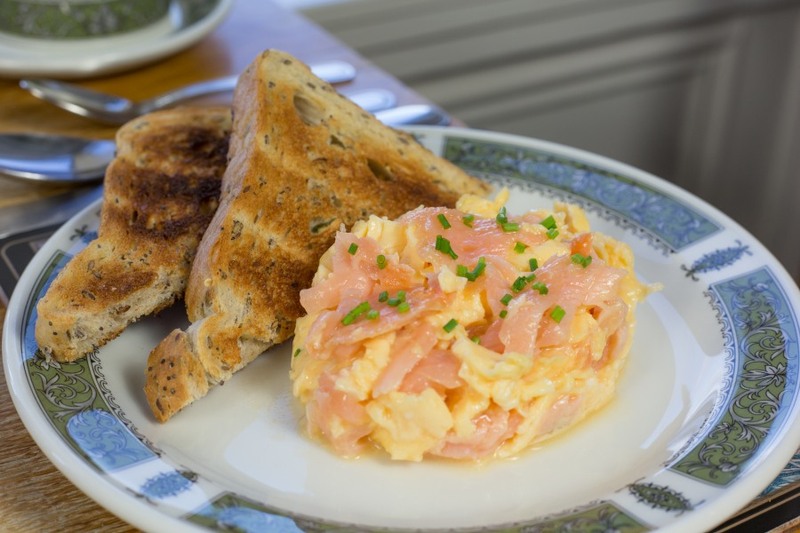 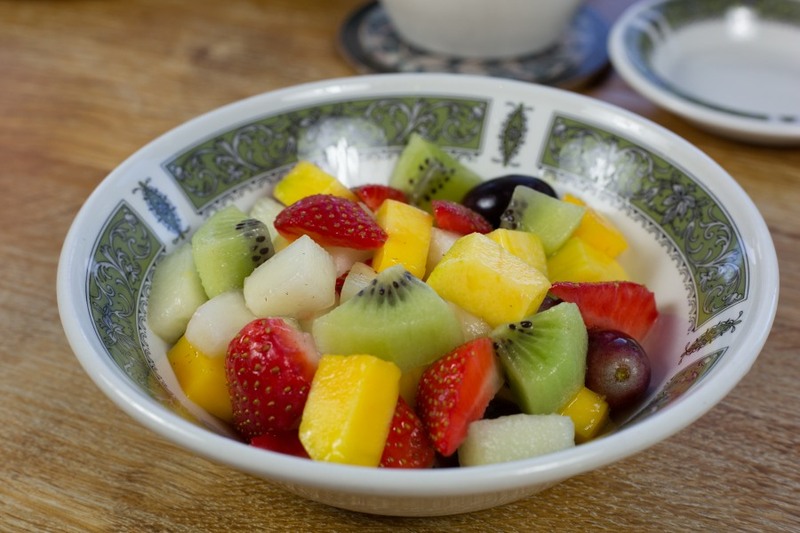 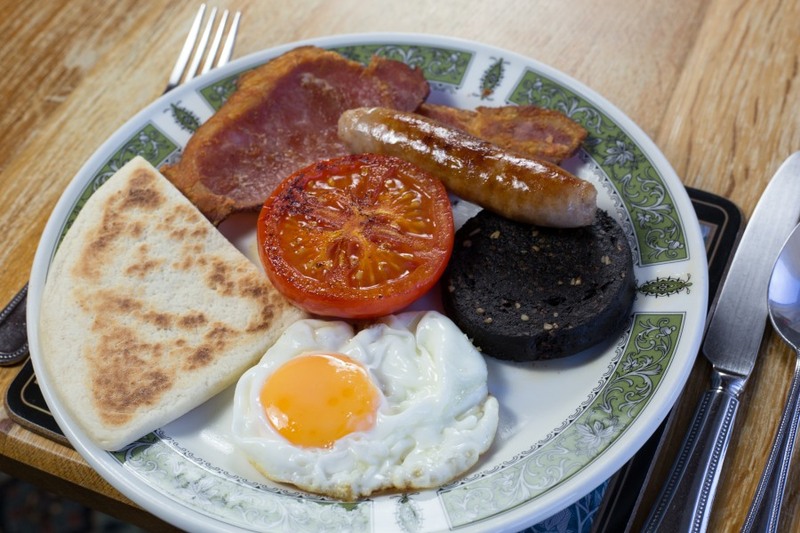 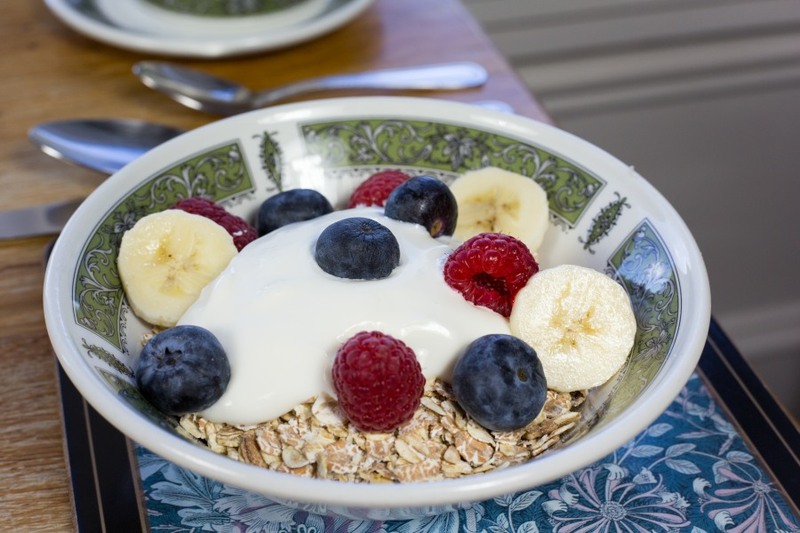 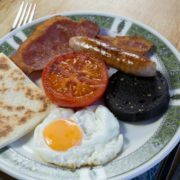 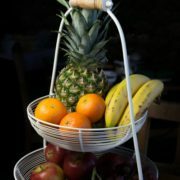 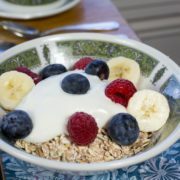 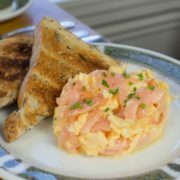 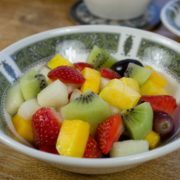 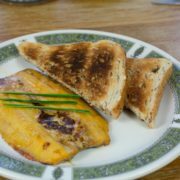 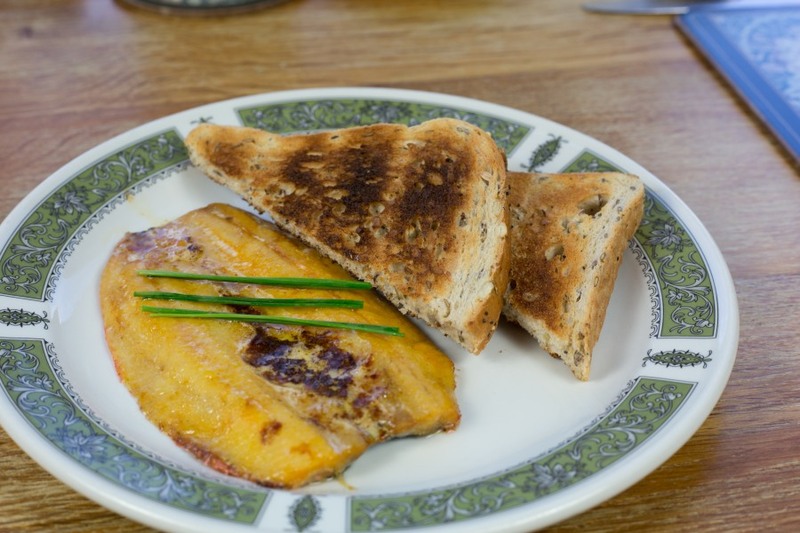 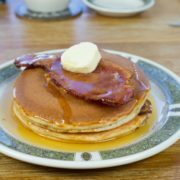 We provide vegetarian breakfasts if requested. 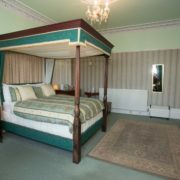 We are sorry but we don’t accommodate children under 14 years of age. 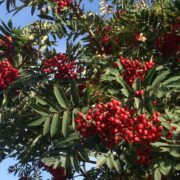 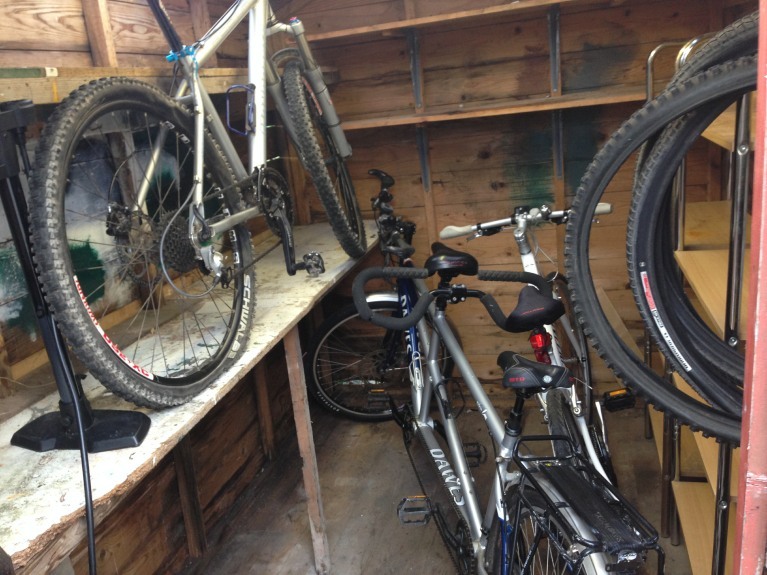 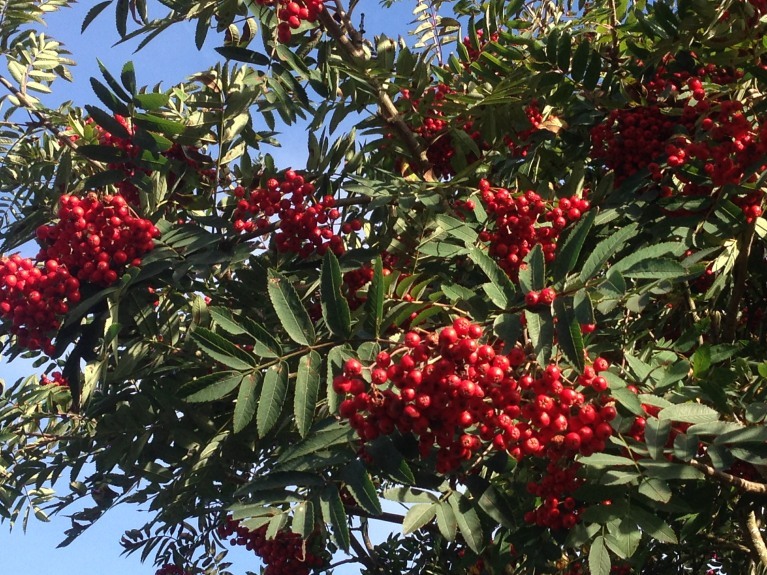 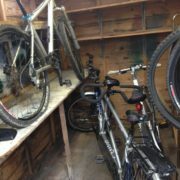 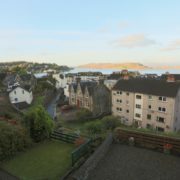 Outside, Storage, Car Parking and in the Garden - more great views! 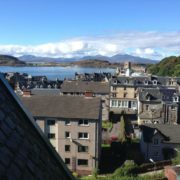 Facing east to the bowling green and Oban Hill. 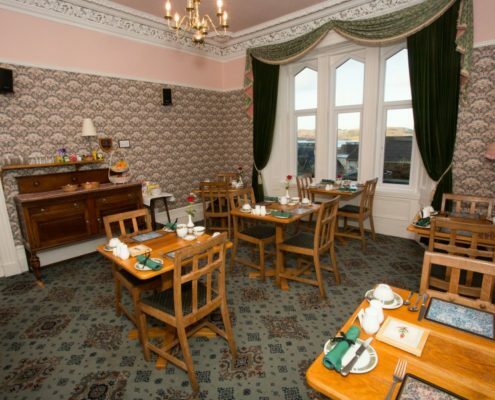 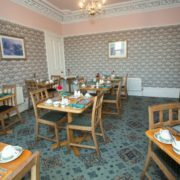 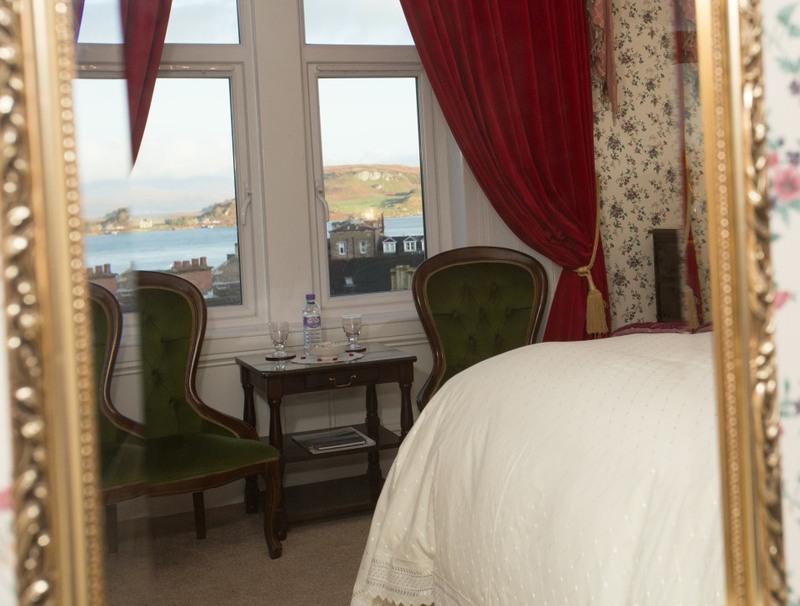 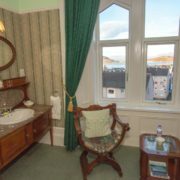 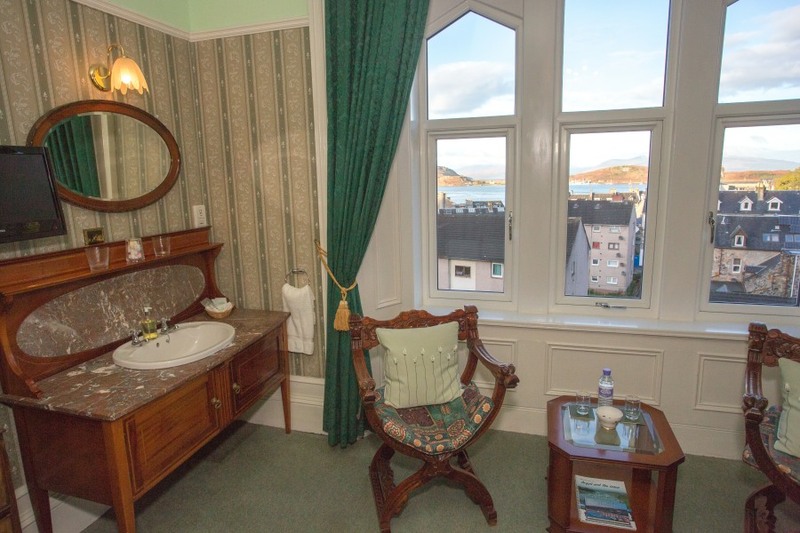 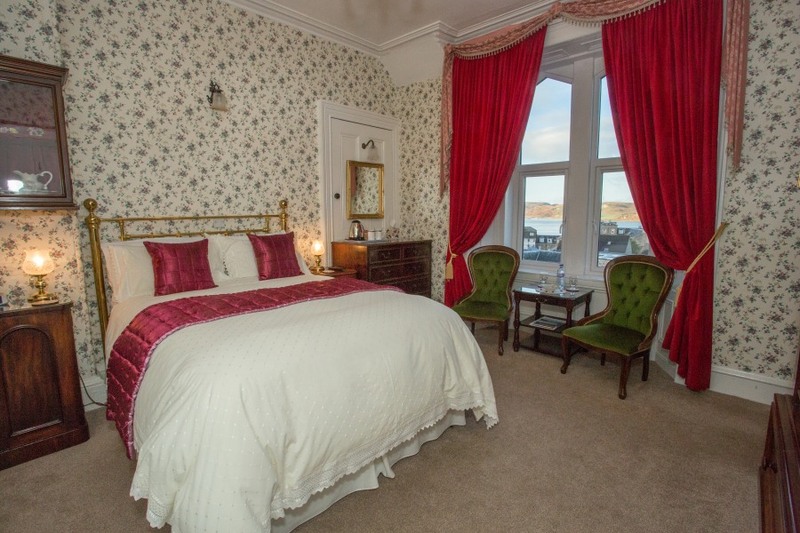 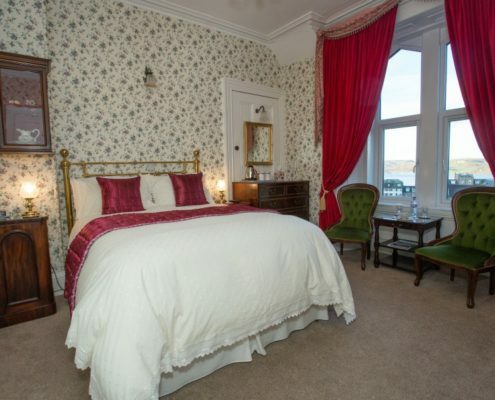 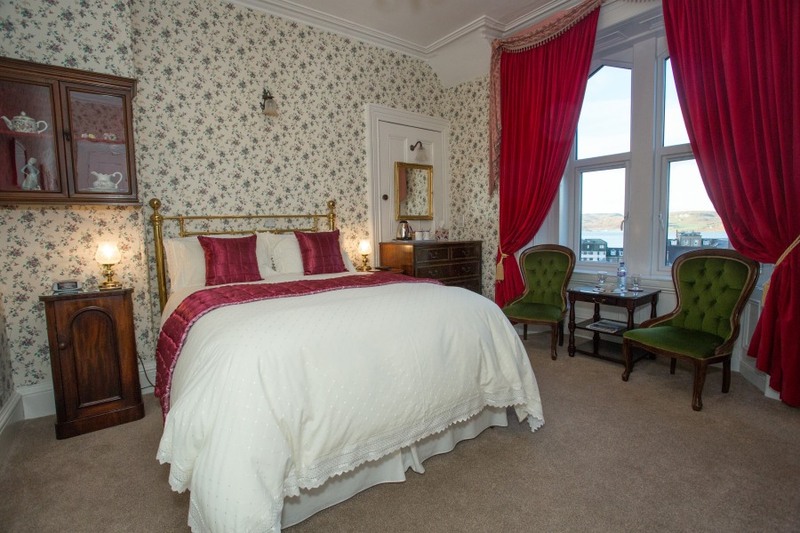 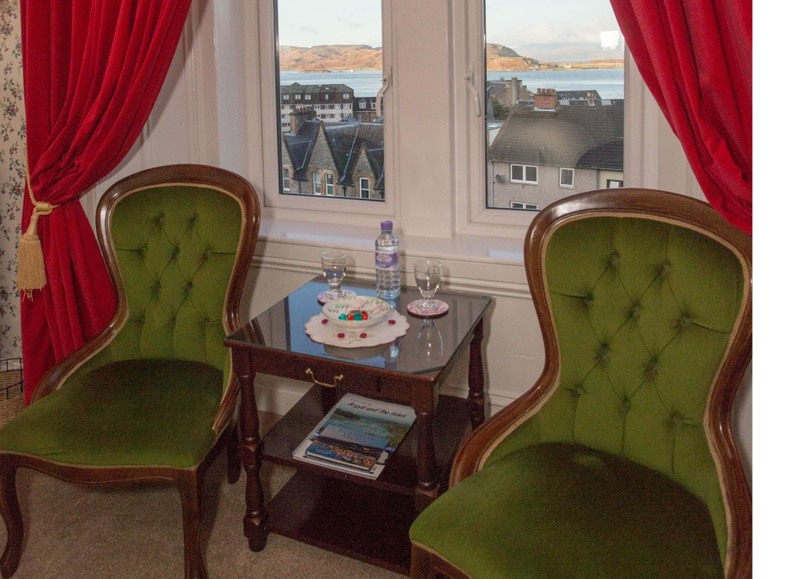 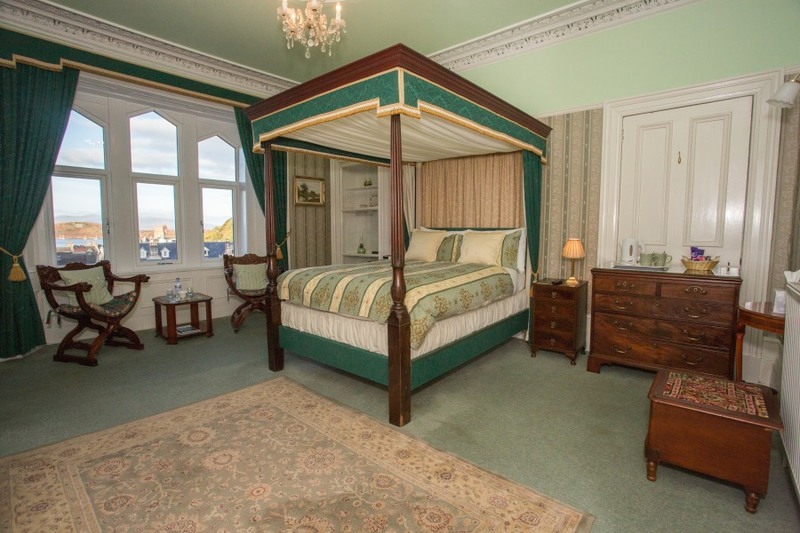 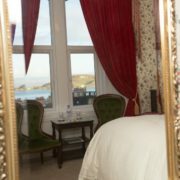 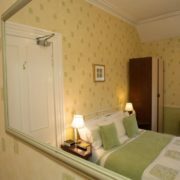 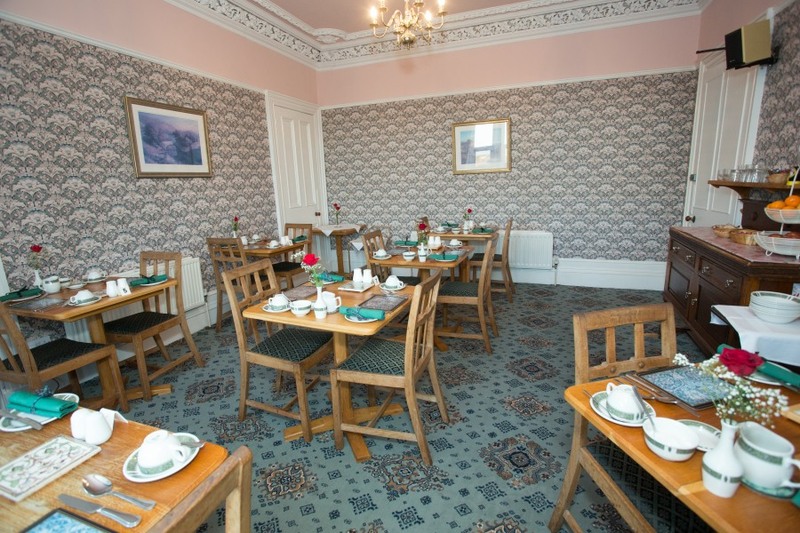 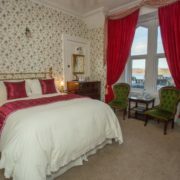 The first floor Regency Room enjoys one of the best views over Oban Bay to the islands of Kerrera and Mull. 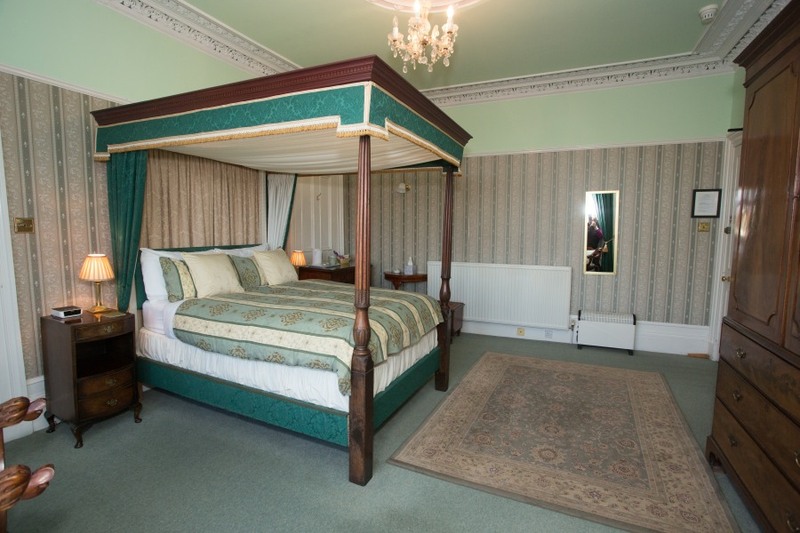 The bed is a beautiful Regency four-poster, refurbished and fitted with a modern divan mattress to ensure a luxurious and comfortable night’s sleep. 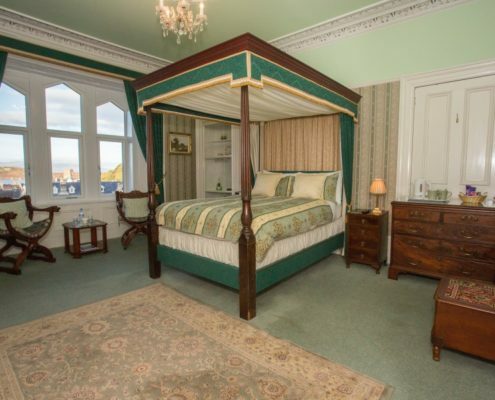 This is complemented with rich mahogany antique furnishings. 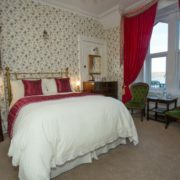 The room is spacious, being originally the drawing room of the house, with intricate ceiling rose and cornice. 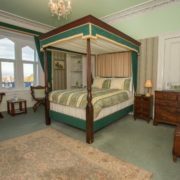 The Victorian Room is similarly fitted out in appropriate style, including an impressive mahogany wardrobe. 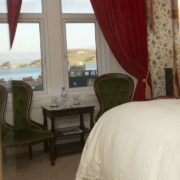 Like the Regency Room, it is located on the first floor, and enjoys a similar view to the West. 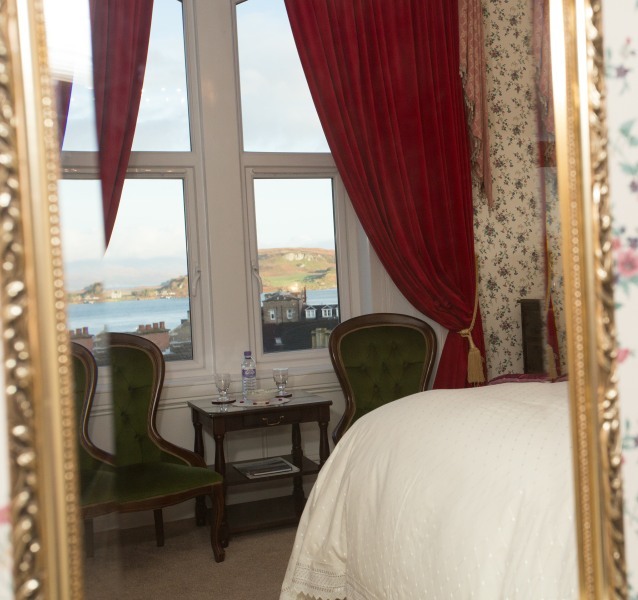 The top floor Seaview Twin Room is also on the second floor, withcoomb ceilings, and a view to the South West over Oban Bay to the island ofKerrera through a large Velux window. 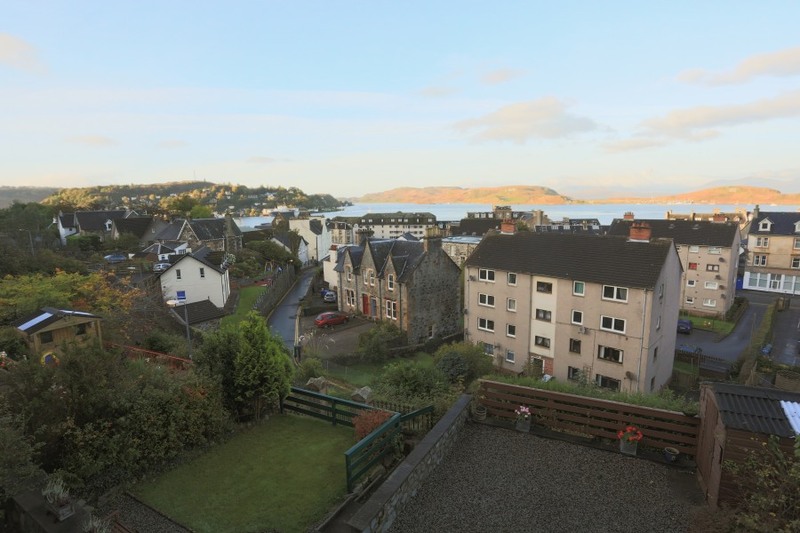 It also has a view to the East overthe bowling green to Oban Hill. 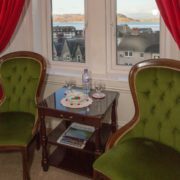 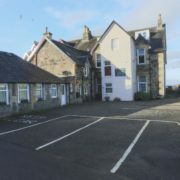 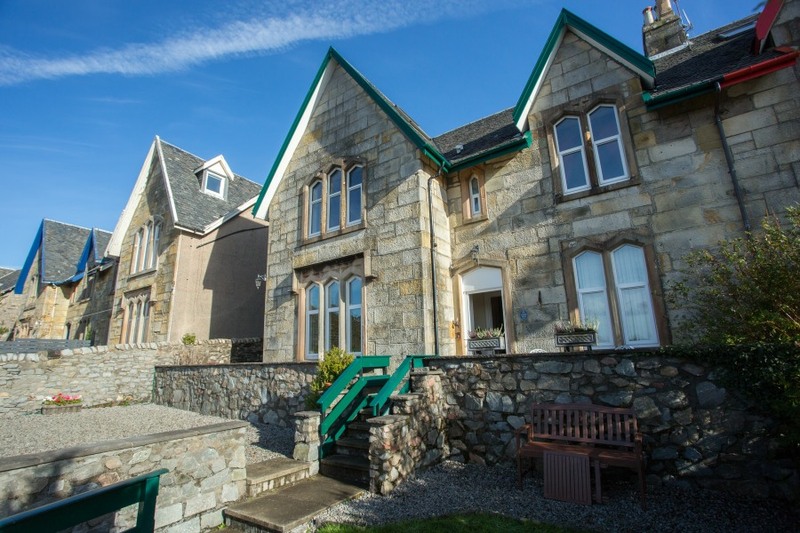 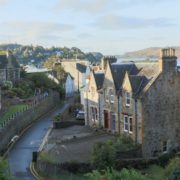 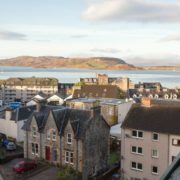 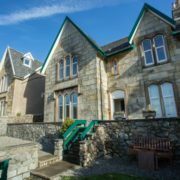 The top floor Seaview Double Room is on the second floor, with coomb ceilings, and a view to the West over Oban Bay to the islands of Kerrera and Mull, through Velux windows. 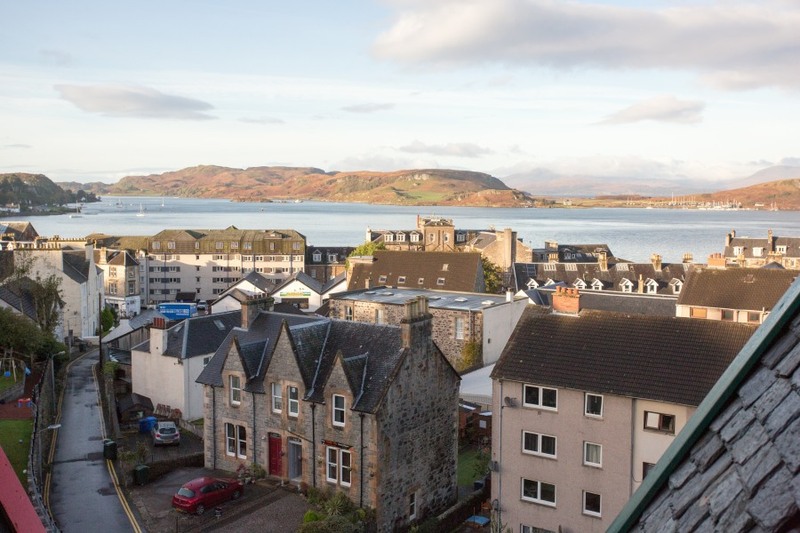 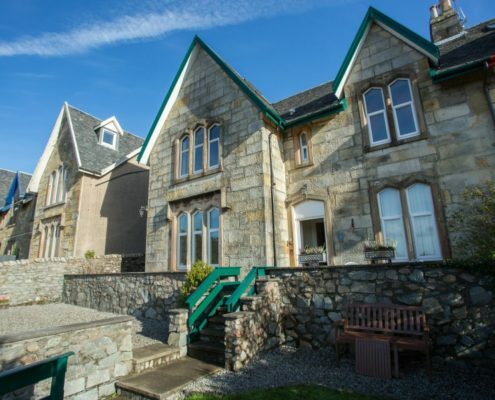 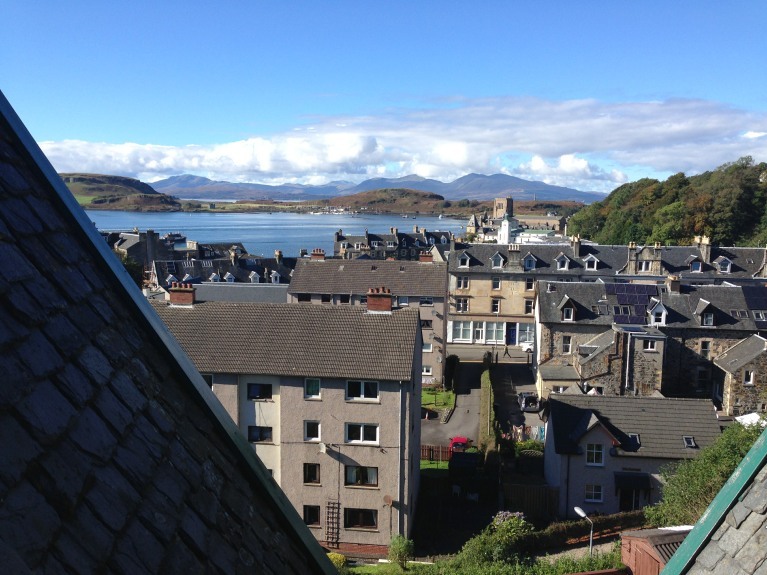 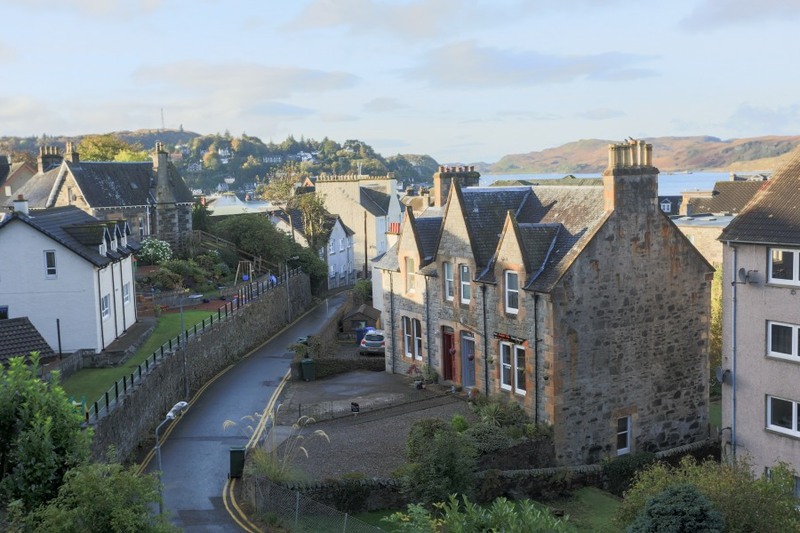 It also has a view to the East over the bowling green to Oban Hill, through a dormer window.